CEREC allows dentists to create porcelain inlays, onlays, and crowns accurately and quickly, using computer-assisted technology. Visit the patient services page for more information on CEREC. Can you do multiple CEREC restorations in one appointment? 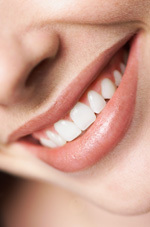 Yes, we can schedule two or three restorations in an extended appointment. The cost depends on your unique treatment plan. We will explain the procedures we recommend, their cost, and order of importance. Then you decide what, when, and how much you want to pursue in subsequent appointments. Can you replace my silver fillings with composite or porcelain? why we only craft composite fillings and porcelain onlays and inlays.